The Dunworley Wall Mirror complements the Dunworley Electric Adjustable Bed, which is a Low Foot End Bed. The Frame around the Dunworley Wall Mirror is finished with a semi-gloss champagne finish. The Dunworley Double Door Wardrobe complements the Dunworley Electric Adjustable Bed, which is a Low Foot End Bed. The Dunworley Double Door Bed Wardrobe has a beautiful semi gloss lacquered champagne finish with Solid Oak Knobs, and Trims, which gives the piece a modern feel. The Dunworley 5-Drawer Chest Tallboy complements the Dunworley Electric Adjustable Bed, which is a Low Foot End Bed. The Dunworley 5-Drawer Chest Tallboy has a beautiful semi gloss lacquered champagne finish with Solid Oak Knobs, and Trims, which gives the piece a modern feel. The Dunworley 4-Drawer Chest complements the Dunworley Electric Adjustable Bed, which is a Low Foot End Bed. The Dunworley 4-Drawer Chest has a beautiful semi gloss lacquered champagne finish with Solid Oak Knobs and Trims which gives the piece a modern feel. 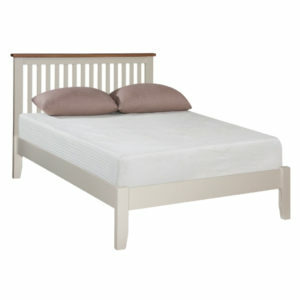 The Dunworley 2 over 3-Drawer Chest complements the Dunworley Electric Adjustable Bed, which is a Low Foot End Bed. The Dunworley 2 over 3-Drawer Chest has a beautiful semi gloss lacquered champagne finish with Solid Oak Knobs, and Trims, which gives the piece a modern feel.